Description: An original unopened packet of 303 Mark II cartridges. This 10 round packet is dated 30/7/1896. 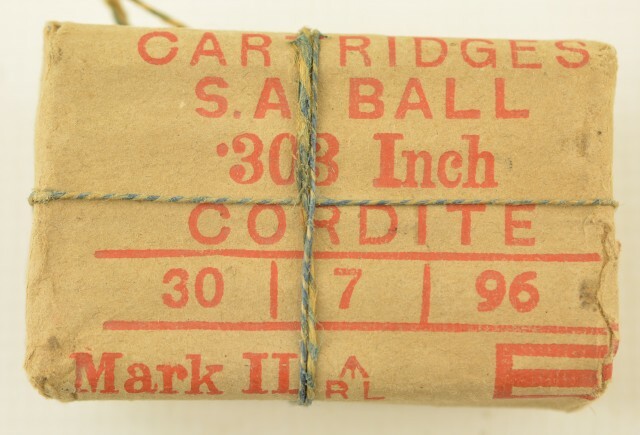 Marked cartridges SA ball cordite. 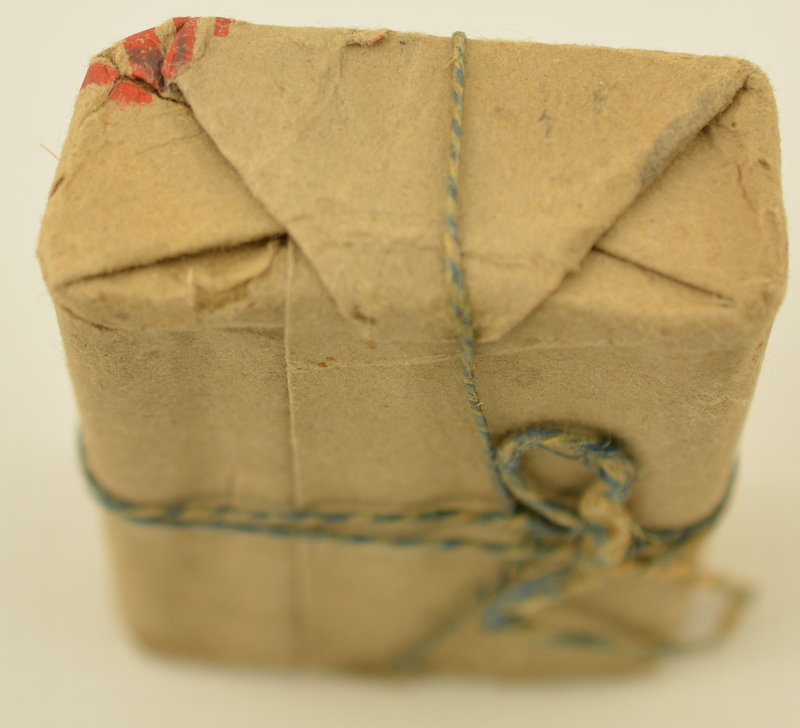 The original paper and string remains in its' as packed condition. This is the correct type of packet as issued and used in the Boer/South African War. A piece for the 303/Lee Enfield Collector.